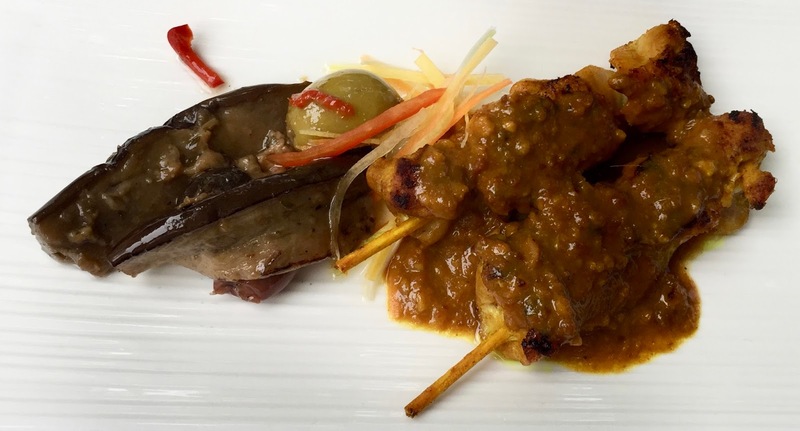 Since Restaurant Noohn was opened some 10 years ago, my family has dined a couple of times at this modern restaurant offering Asian fusion cuisine in good quality in an urban atmosphere. The place is huge with a combo of choices, either for just having a drink, for food to take away, for self-service or for regular service. Noohn is especially known for its sushi bar which probably offers some of the best sushi in Basle. As said above, the eatery is spacious, at least for Swiss standards. It is spread over 600 sqm and its centerpiece is a sushi bar where chefs prepare dishes in front of the guests and let them circulate around the bar via a conveyor. Furthermore, there are an a la carte restaurant, a self-service eatery, an a la carte garden restaurant, a bar/lounge area and a roof top terrace bar. One of Noohn’s best features is certainly its ambiance. When entering the premises, you immediately feel like being in hip spot in a metropolis. Basle may be one of Switzerland’s biggest cities but it remains a rather placid place. 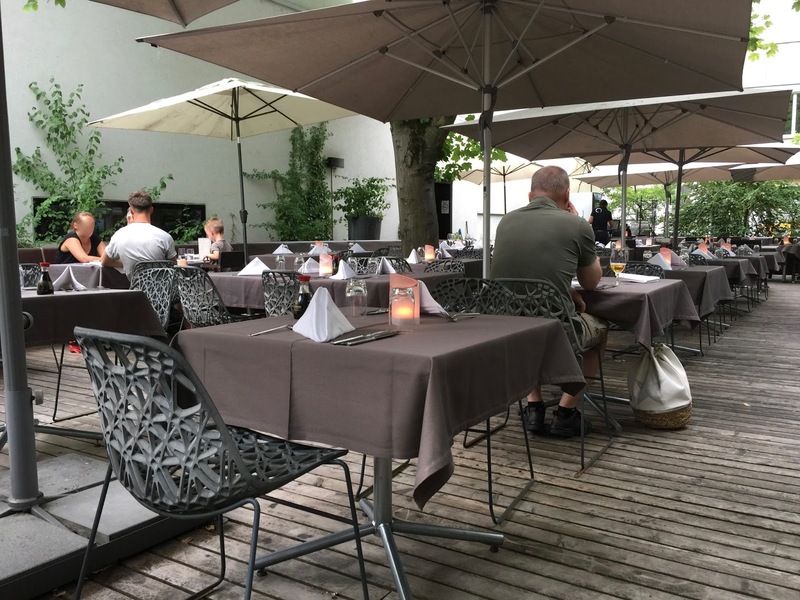 Therefore, an urban restaurant like Noohn was well received in town and it is still thriving, although reviews at portals like TripAdvisor are not that favorable (3 ½ of 5 points). Contribution to this success is also its modern “industrial” look and its nice vibe buzzing with a trendy clientele. Usually, the place is buzzing with activity. When my family and I were here on a hot pre-summer evening during the week, there were not that many people around having dinner but the roof top terrace bar was packed. Therefore, we decided to skip the pre dinner drink and to settle straight away for dinner in the outdoor a la carte area. It is a nice setting, actually a backyard garden, but a beautiful one, surrounded by a lot of greenery. What is special about this garden restaurant, is the unique seating bench that runs around the perimeter of the decking, a nice feature! In the a la carte restaurant, Euro-Asian food is on offer, ranging from sushi, curries and other Asian as well as Asian fusion dishes. When it comes to food quality, Noohn can be best described as safe bet without being exceptional. While I consider sushi here as fresh and well made, other dishes such as curries lack complexity. One person of our party had the Noohn Bento. In case you are not familiar with the concept of Bento, it is the Japanese version of a packed lunch usually containing rice, meat, fish, noodles and vegetables. Here at Noohn you get a selection of sushi, tataki and other house specialities, even a dessert is included, on our visit a cheesecake with berries was in it. 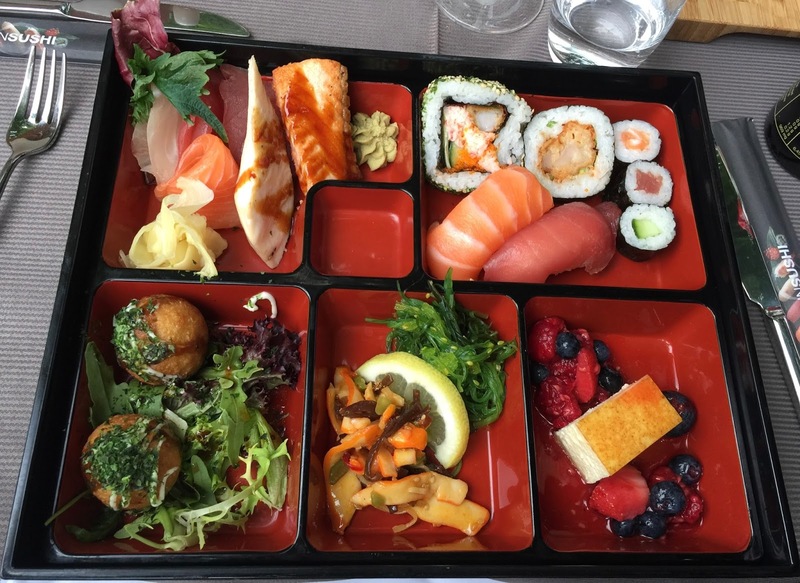 The Bento box looked appealing and I was told that it was also convincing when it came to taste. 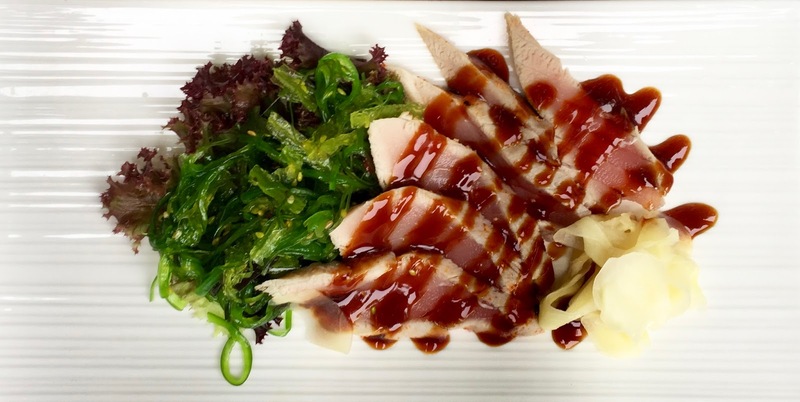 Another dish that was well received was the Tuna Tataki, which was served with sesame-wakame salad & Teriyaki sauce. The fish was very fresh and tasty and its accompaniments suited just great. 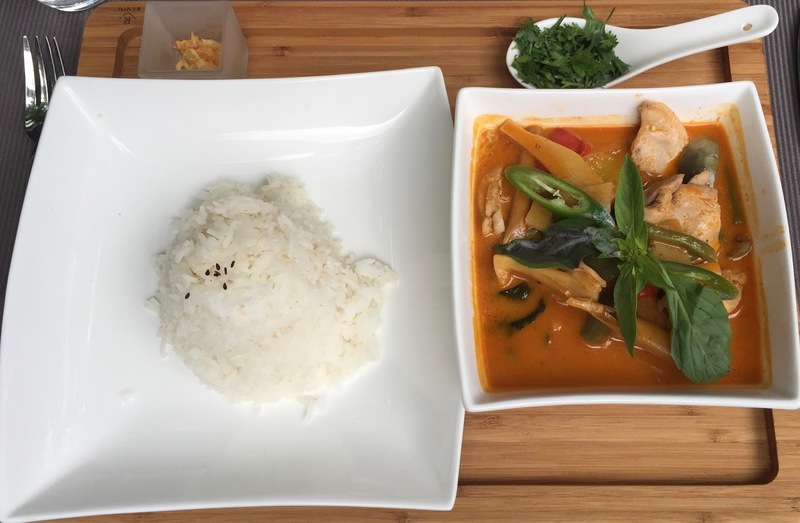 The main dish that was ordered by two persons of our party, a Thai red curry with Asian vegetables and jasmine rice, was solid but unexceptional. In my view, the sauce was okay but a bit bland. The desserts we had were nice enough. From the three different ones I tried (only small bits of course), I liked Banira Aisu Kurimu “Zaku Zaku” most, Japanese style crispy vanilla ice cream. 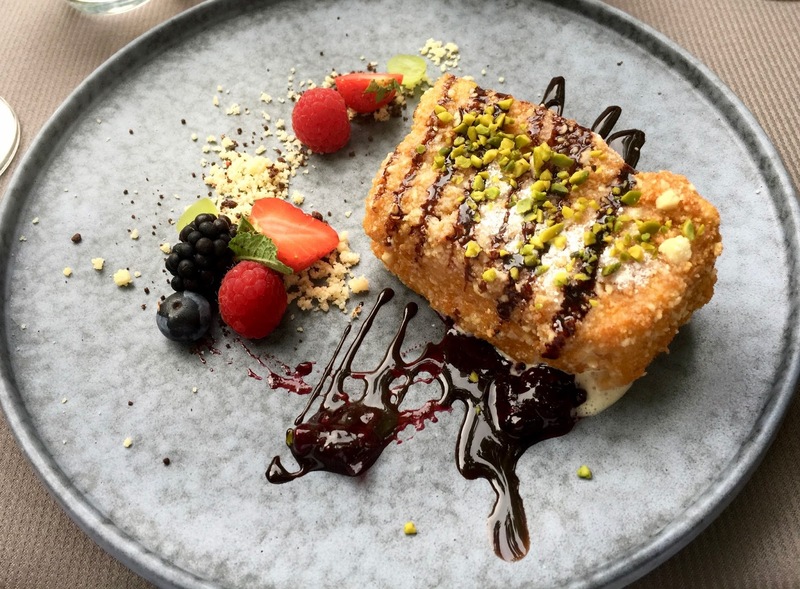 The ice cream mantled by a crunchy coating made a good combination, both in terms of taste and texture. 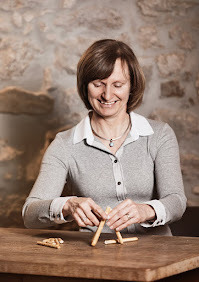 The staff team is young, relaxed and hospitable. Although the place is huge, the employees succeed in not creating the impression of a “mass production”. With a look at prices – this concerns only the a la carte restaurant –, it can be said that it does not come cheap when having dinner here. I am not that sure whether the price you pay justifies the performance you get. 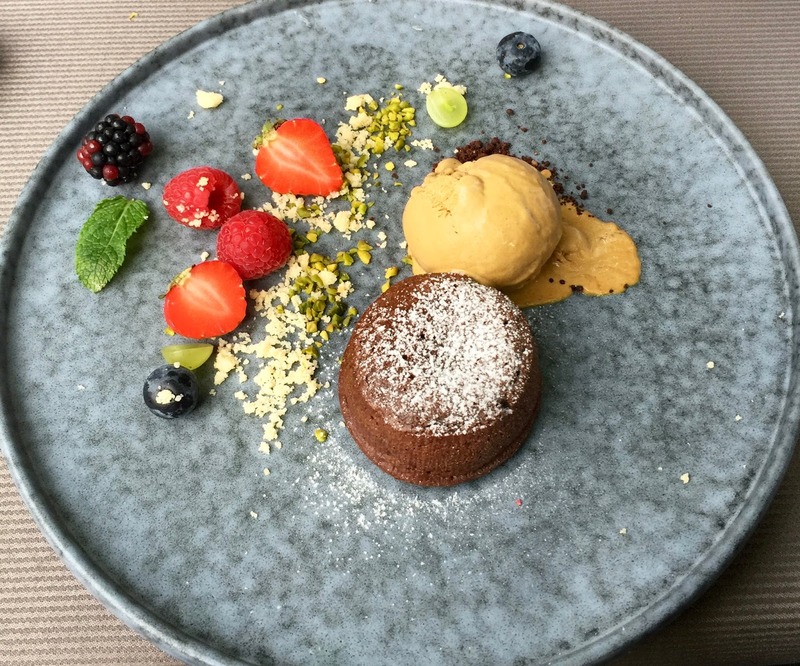 When you seek a decent Asian fusion meal in a modernly styled restaurant in Basle, do not look further, Noohn is perfect for this purpose. If you are a sushi aficionado, then you have found here the right spot, too. You have come to the right address as well when looking for a hip crowd hanging out and having a drink or two. But be prepared that the experience here cannot be called a bargain.